I feel good layout design is essential to a rewarding hobby. These posts describe some of the design decisions I made, plus sources of layout design information. Later the same day, I took part in a large operating session on the HO scale D&RGW Moffat Route built by David Nicastro and his son, Sam Nicastro. Sam is a millennial who is already passionate about, and accomplished in, our hobby. 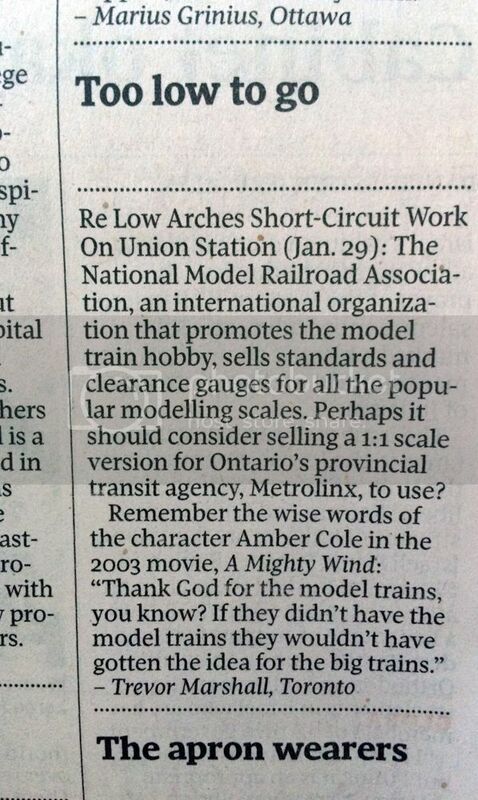 He’s a modeller, a railfan, and a member of several groups including the Operations Special Interest Group. More than anything I can do, guys like Sam will help keep the hobby strong and viable in the future. Their layout features a number of advanced electronics applications, including a dispatcher’s desk complete with virtual CTC machine linked into the DCC system and phone system. What’s most remarkable about this is it’s Internet-enabled, so the Nicastros can call upon a friend out of town (or anywhere in the world) to direct traffic during an operating session. David’s goal with this layout was to give one the feeling of running a train through the mountains, and he is certainly achieving that. I signed up to run a manifest freight as it would take me the length of the mainline – from terminal to terminal – and it took almost two hours to make the trip, with several pauses along the way to meet opposing trains. While this is not the sort of layout I would build for myself, I really enjoyed running on it and would be happy to contribute to building and operating the Moffat Route if I lived in the area. Thanks, David and Sam – and your crew – for hosting us! As part of my trip to California in mid-September, I squeezed in a brief stop at the restored ATSF train station in Perris. This is something I’m really glad I was able to do – it was a pilgrimage of sorts. Those who have read this blog for some time now know that I’m a fan of smaller layouts. I’m far more impressed by a small, thoughtfully-conceived and expertly executed model railway than I am by a half-baked basement-filler. The hobby is not about quantity for me; it’s about quality. In fact, I have a whole other blog devoted to what I call Achievable Layouts. In short, it’s clear that Brian has made an effort to reward the public for their $5 admission fee – even as he enjoys this layout at home. This also informed Brian’s wise decision to have three people help him exhibit Roweham. He wanted to make sure he could talk to visitors even as the layout continued to operate, and he wanted to make sure everybody had a chance to take a break from operating – a much better situation than one person, standing on his feet for six hours, trying to explain the layout to guests and keep the trains moving. While it’s a modest design, with just four turnouts, Roweham is already finished to a level rarely seen at exhibition in these parts, and Brian continues to add details. New features this year include a cattle dock, a water tank, a brick workshop, some tractors, and more. Most modellers I meet are obsessed with quantity. They talk about the number of locomotives they have, or the number of freight cars, or the size of their layout. The first question often asked is, “How big is your layout?” – with emphasis on “big”. How different the hobby would be if we instead started with the question, “What story are you trying to tell?” – and then gauged how well the layout accomplishes that. Brian’s layout tells a very clear story, and that’s why it succeeds so well. Thanks again, Brian, for letting me be a part of your exhibition! The Globe and Mail – Canada’s national newspaper – ran a story last week about a problem with the renovation at Toronto Union Station. That sounds like bad layout design to me. On Friday, I visited my friend Pierre Oliver in St. Thomas. His house quite close to the Port Stanley Terminal Rail tourist train – which was playing host to Thomas the Tank Engine. Thomas wouldn’t look at us. Was it something we said? While some of us joke about this guy – and I’m still not sure how successful he is at converting kids into railway modelling enthusiasts over time – Thomas is a huge draw for the PSTR and the Elgin County Railway Museum. The Thomas days provide a much-welcomed injection of funds to these organizations. And when one looks past the little blue fella, one finds an interesting consist in that tourist train and on the property. 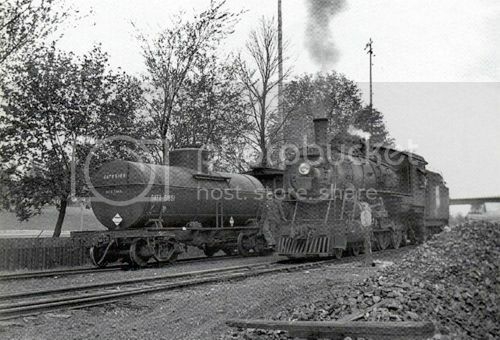 In addition to the GE 44-Tonner in the video, the PSTR owns three other small locomotives from a variety of builders. Meanwhile, the passenger fleet consists primarily of re-worked cabooses, which would make for interesting kit-bashing challenges. And everything is painted in a very attractive scheme. Have another look at that video and check out the consist. Not all that easy to model after all, is it? 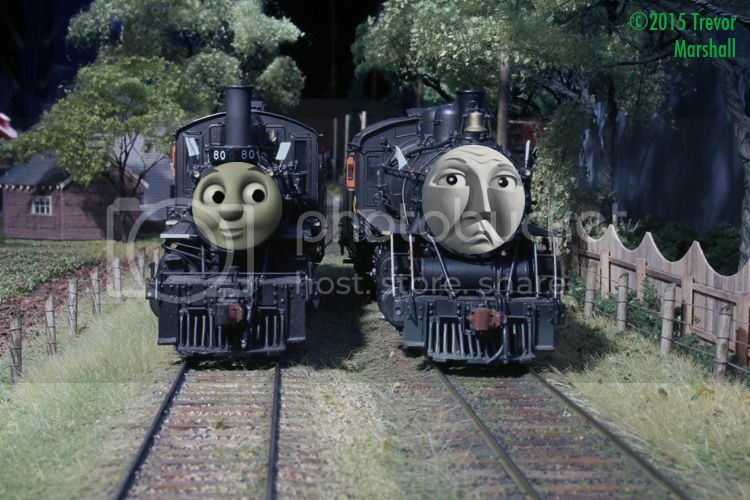 Perhaps Proto:Thomas is in our future? Great to see you Pierre – and the new house looks wonderful. Exciting layout-building times ahead! Late last month, I ran into Gord Ross at one of the local hobby shops. Gord’s a regular reader and after talking with him a while, I invited him to visit. Well, we had that visit on Thursday. I also invited my friend Andy Malette to join us, because I know Gord has put his toe into the water in S scale, and Andy knows just about anything one could want to know about building a layout in 1:64. Andy was able to provide Gord with lots of information about sources for equipment and other stuff one needs for a satisfying S scale layout. The layout ran well and the work took about two hours to complete. The three of us had a great time. Gord is considering an S scale layout for a small space, and noted that having a chance to run my layout answered several questions for him about whether a modest layout can be entertaining. I’m convinced they can be, as I’ve written about this on this blog and on my Achievable Layouts blog. But it’s one thing to read something – quite another to experience it for oneself. We discussed the advantage of choosing industries that support a variety of car types with specific spotting rules. I think this is particularly important for smaller layouts. For example, a furniture factory might require the same layout space as a grain elevator, but it would require more switching. That’s because the furniture factory could receive inbound loads of lumber, fabric, leather, glass, hardware, adhesives, finishes, solvents, and the occasional delivery of machinery. Finished furniture could fill outbound cars. What’s more, these inbound and outbound carloads would likely need to be spotted in specific order along the factory’s siding – and some cars spotted at the factory might not be ready for pick-up. By contrast, a grain elevator might receive several cars for loading, but if they’re all going to be loaded with the same commodity, spot order doesn’t matter. If we assume six cars will be switched at our furniture factory, that could require a fair amount of back-and-forth shuttling to lift cars that are outbound, then sort inbound cars and cars that are staying put into correct spot order. A grain elevator – even one with a 12-car capacity – would require much less switching. Even a team track – the easiest and most space efficient industry to model – can offer this sort of play value. In fact, team tracks account for the majority of the spotting locations on my layout. I make this work by dividing the team track into several spotting locations and then assigning specific spots to specific customers. For example, Potter Motors in Port Rowan receives the occasional flat car load of tractors. This car must be spotted at the very end of the team track, so that Potter can set up a ramp to drive the tractors off the end of the flat car. On my layout, I’ve designated four spots on the Port Rowan team track and labelled them “T1-T4”, counting from the wheel stops. Then, on the waybill for the flat car with tractor load, I have noted it must be spotted in “T1”. Gord and I also talked about small, prototype examples. My go-to example is the CNR Waterloo Sub to Galt, Ontario. I’ve given this example to several friends and know at least one person who is building a version of it in HO. I’ve also written it up on my Achievable Layouts blog: Click on the image, below, to read more about this subdivision. Andy, Gord: Great to see you both and I’m looking forward to more operating sessions! 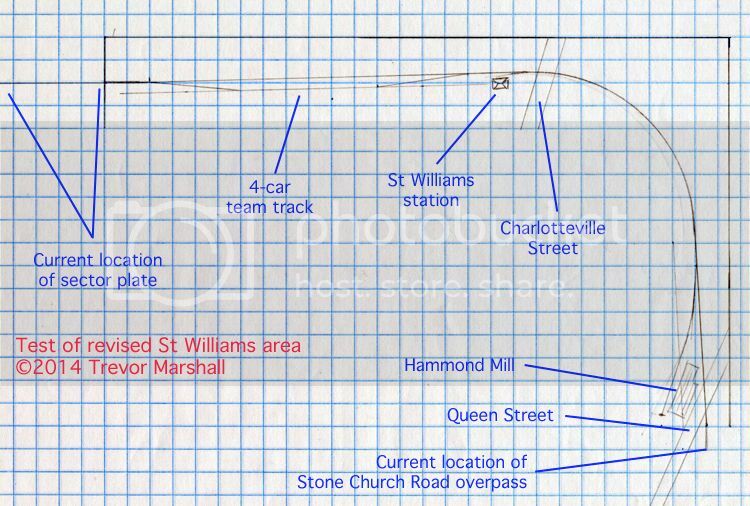 You’ve mentioned in the past about possibility redoing St. Williams to better replicate the prototype, so does looking at the progress you’ve made hinder or help your decision to keep St. Williams the way it is? It’s a great question – thanks for asking! And I definitely would like to model this mill and all the adjacent structures more accurately – someday. But I’m still not sure re-building this portion of the layout would be a good idea. 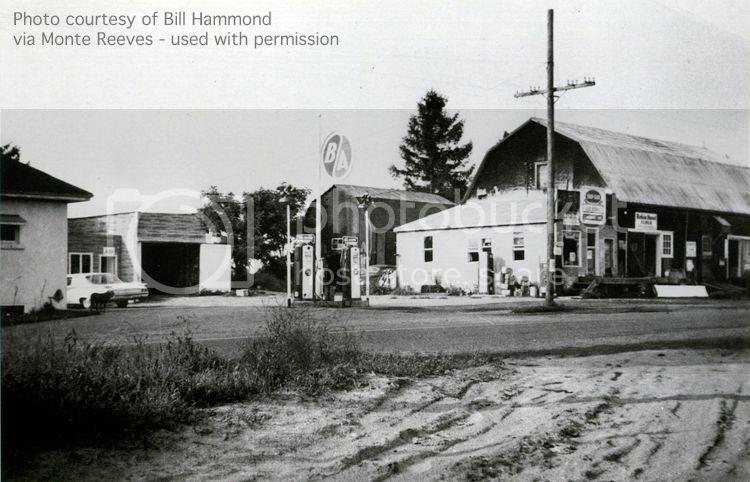 – I would have to lose the Stone Church Road overpass – a scene I really enjoy – because it would interfere with the Hammond Mill, the mill spur, and the Queen Street level crossing. – I would have to bump out the benchwork to accommodate the mill, which would affect my ability to maintain (and enjoy) the track through the east end of the Lynn Valley scene – which starts immediately to the west of Stone Church Road. – I would have to move the station to the aisle side of the track, so that it would be viewed from the back. 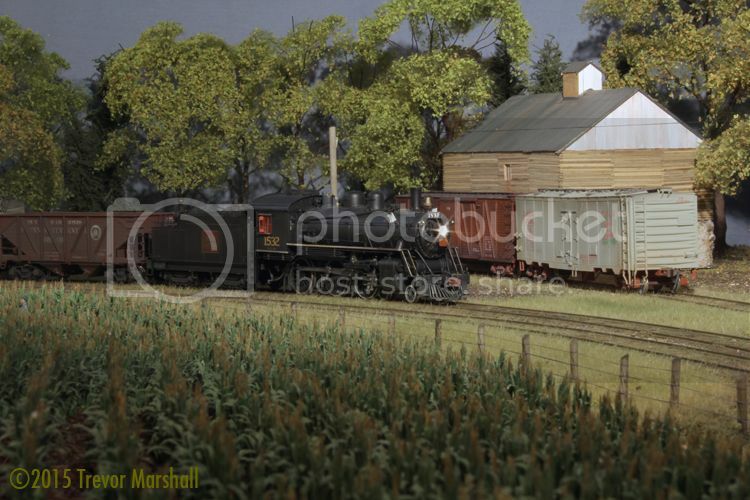 Since the only picture I have of this station is taken from the front and since this is the image that inspired me to model this station, I’m not prepared to lose that view on the layout. There are several alternatives, of course. 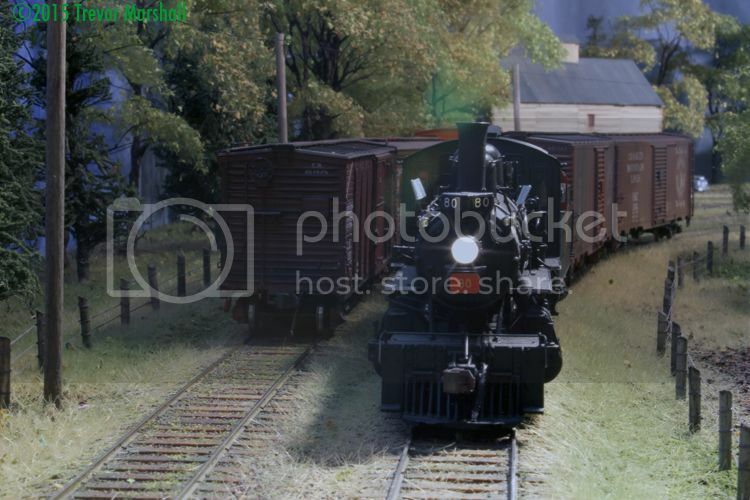 I could flip the station/team track portion 180 degrees, so that the station was to the left of the team track, and the first scene a train encounters upon leaving the sector plate. 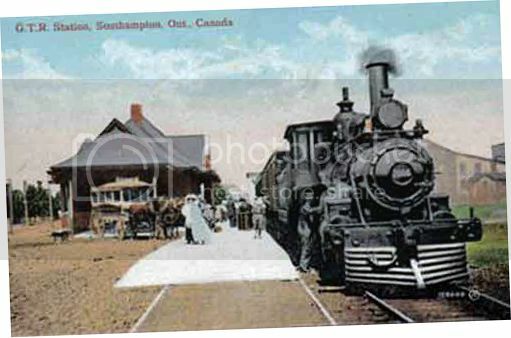 Or I could flip the entire St. Williams scene end for end – so that I’d build the “correct” track arrangement, but trains heading to Port Rowan would encounter the mill before arriving at the station. I’m still pondering these ideas. Meantime, I don’t have to do anything: I have a lot of projects to work on to finish the layout, including some big structure projects – specifically, the station and Leedham’s Mill in Port Rowan. I can do those, and then revisit the Hammond Mill / St. Williams question. As for the original question – does the progress I’ve made make me more or less likely to redo this area? – the answer is that it doesn’t affect the decision either way. I will continue to ponder the prototype and my space, and if I come up with a satisfying arrangement that is closer to reality, I’ll gladly tear out the St. Williams that I’ve built (but I’ll finish those Port Rowan structures first). Having built the St. Williams scene that I have, I know I could do it again, if desired. And of course I can save and re-use the structures, trees, fences, telegraph poles and other elements that have gone into this scene. In fact, I’m sure I’d do an even better job on a second attempt, because I’ve learned things while building St. Williams the first time around. Like many of my readers, I’m a big fan of the work that Lance Mindheim has been doing to encourage hobbyists to build what I call “achievable layouts“. I’ve always been frustrated, though, that Lance’s website and it’s always thought-provoking blog 1) was not searchable and 2) did not support RSS or other means of automatically notifying me when he’d posted a new entry. Apparently, I’m not alone: As Lance notes in a post from last week, he’s in the process of addressing these by migrating this website engine over to something that includes a WordPress blog (the same blogging engine I use here). I know Lance will be pleased by the change, particularly the ability for readers to follow his blog. I have two following options on this blog and I’m flattered by the number of people who use it to keep tabs on what I’m doing. One of the things I love about blogging is being able to follow the thought processes of others as they tackle the challenge of fitting their vision into the reality of their layout space. Now, with two locations and a total of eight turnouts to juggle, my design decisions were relatively easy – even in 1:64. Imagine the juggling required when one is trying to fit a major junction point and yard into a layout space! 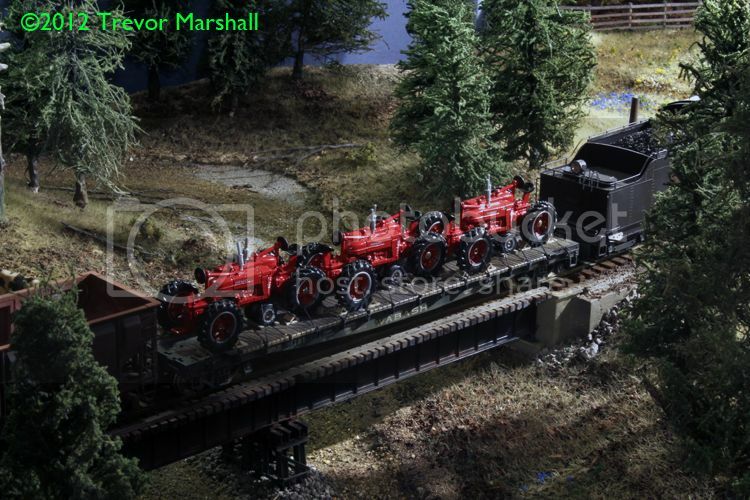 This is the design challenge that my friend Marty McGuirk faced when he decided to include White River Junction on his HO scale version of the Central Vermont Railway. Having built a version of it, Marty has identified several reasons why his design bothers him – both operationally and ascetically. And he’s been brave enough to share the problems via his excellent Central Vermont Railway blog. Go have a read – and then spend some time looking around his blog. Having rebuilt many other aspects of his layout – including tearing down a double-deck design in favour of a single deck – Marty is not afraid to scrap what he’s done in the interests of improving his layout. I agree with his approach, 100 per cent: layouts are learning experiences and should evolve as we gain knowledge about what works and what doesn’t. My friend Chris Mears writes a great blog about the hobby called Prince Street Terminal – and to kick off 2015 he’s started a thought-provoking new series on planning a small layout to fit in a corner of his living room. New year, new layout, in which he presents the space and some general thoughts about presentation. The days between, in which he presents a few of the “givens” for his new layout. Coffee, cardboard and YouTube, in which he presents some of his preferences – his design objectives – for his new layout. Something like this, in which he mocks up a potential operating session on one possible plan, rendered full-size with cardboard, sections of flex, and turnout templates. New Hampshire and Vermont #405 in 1993, in which he shares a video found on YouTube, because it represents the style of railroading he wants to replicate on his new layout. What I find interesting about this series is that Chris has not started with a list of standards (e.g. 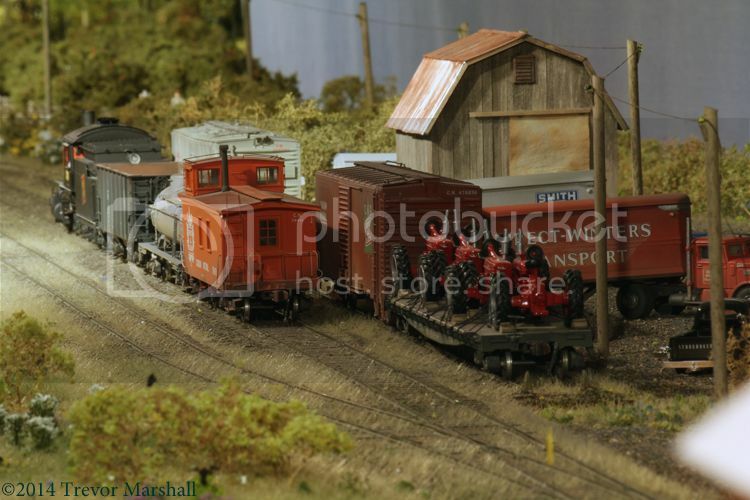 : HO scale, 30″ radius, #6 turnouts), or a list of equipment he owns, or a set of possible layout plans for the space, or even a particular prototype he’s going to model – either faithfully, or in freelanced form. 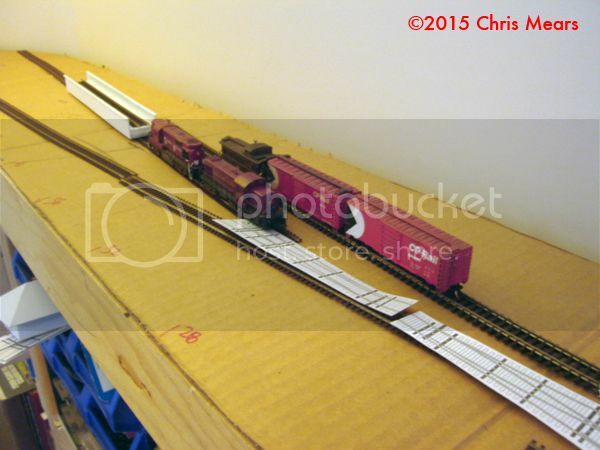 Rather, Chris started by exploring the things about railroading that he enjoys – in both real and model form. I’m confident he has spent a lot of time reflecting on operating sessions on other layouts, and on rail fanning, and has gone beyond the statement “I like this” to ask the question, “Why do I like this?” That’s a great approach, and sure to result in an engaging, personally satisfying layout. I know there will be more posts from Chris on this, and I know I’ll be following along.